Staying in a cave was an unique and beautiful experience. Where to find Bernalda hotels near an airport? Where can I find hotels in Bernalda that are near tourist attractions? As there's 13 Expedia places to stay in and around Bernalda, visitors here have plenty of options to choose from. Expedia's accommodation network currently includes 13 places to stay within easy driving distance from the town center. 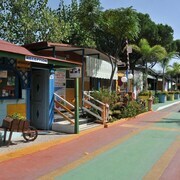 There are several hotels within a 5-kilometre (3-mile) radius of Bernalda's heart, including the Hotel Palatinum and Agriturismoteo. 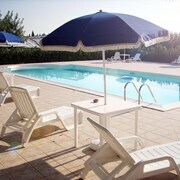 The Giardino Giamperduto Hotel is a budget accommodation option. You will find it located 6 kilometres (4 miles) from the heart of Bernalda. Another affordable place to stay in Bernalda is the Hotel Palatinum. The Hotel Marinagri can be found 20 kilometres (14 miles) from downtown Bernalda. 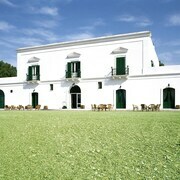 Or, alternatively, the Torre Fiore Hotel Masseria is located 14 kilometres (9 miles) away. The Sextantio Le Grotte Della Civita as well as the Palazzo Gattini Luxury Hotel are two more Expedia-listed accommodation options worth checking out in Bernalda. Looking for more to do? Why not spend some time enjoying Casa Grotto di Vico Solitario and Church of San Pietro Caveoso, in Sasso Caveoso, 30 kilometres (20 miles) to the northwest of Bernalda. 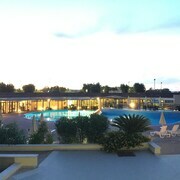 If you'd like to spend a night or two in Sasso Caveoso, check Expedia's booking pages for the latest deals at the Sant'Angelo Luxury Resort and La Casa Di Lucio Hotel Relais. Or, you could consider staying in Sasso Barisano, 30 kilometres (20 miles) to the northwest of Bernalda, where you'll find the Locanda di San Martino - Hotel e Thermae Romanae and Palazzo Viceconte. The Convent of Sant'Agostino and Museo della Scultura Contemporanea are just some of the more popular attractions to check out should you visit Sasso Barisano. Before you say goodbye to Basilicata, make sure you catch some local sport. Visit Stadio San Nicola to the north of Bernalda. Book a hotel close to the action at the Grande Albergo delle Nazioni or the Oriente Hotel. Karol Wojtyla Airport is a logical airport for accessing Bernalda. It is 80 kilometres (50 miles) drive away. 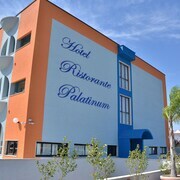 If you would like to stay nearby, try the Best Western Hotel HR or Hotel Palumbo. What are the most popular Bernalda hotels? 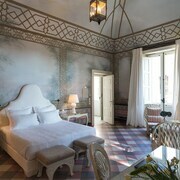 Casale Bernardino, Your Holiday at Home! Are there hotels in other cities near Bernalda? 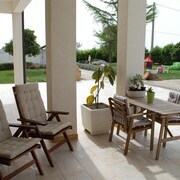 What other types of accommodations are available in Bernalda? Explore Bernalda with Expedia.ca’s Travel Guides to find the best flights, cars, holiday packages and more!